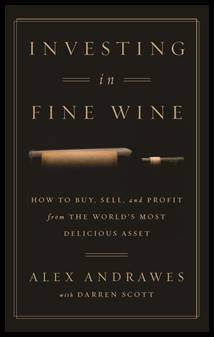 Recently, winebusiness.com interviewed our Founder, Alex Andrawes, to discuss his newly published book, "Investing in Fine Wine". You can read the article by scrolling down, or from its original source by clicking here. Another article, from the Austin Business Journal, discusses not only Estate Wine Brokers, but Alex's other business ventures. Click here to jump to the original article. While his business requires him to regularly handle bottles of wine worth tens of thousands of dollars, Alex Andrawes doesn’t want to come off as a snob. Through his myriad wine businesses based in Austin, including a downtown lounge, Andrawes wants to build companies known for their refined tastes but that are also approachable for the average consumer — especially in such a tech-focused city. As a college student, Andrawes had wanted to work in finance but became disillusioned with the industry after a short stint as a stock broker. He instead started Pervino Inc. in 2000 after graduating from the University of Texas — and has since grown it into a burgeoning e-commerce and retail operation with about 50 employees. 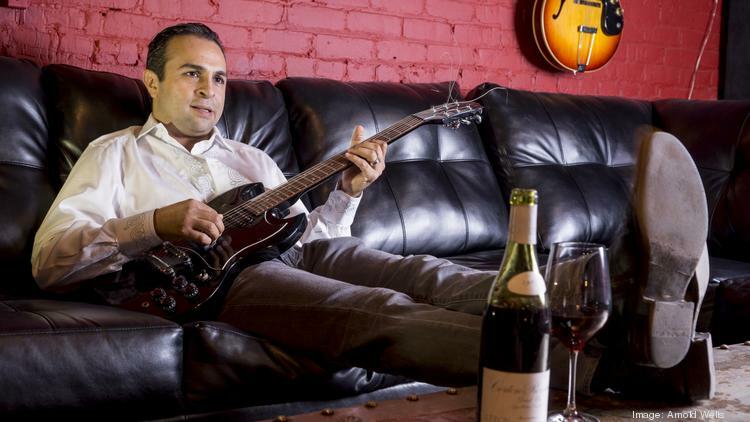 Pervino owns PersonalWine.com — which sells wine bottles with personalized labels among other items and was recently named one of Austin’s fastest-growing businesses by Inc. magazine with 2015 revenue of $4.1 million — and Estate Wine Brokers, a conduit for buyers and sellers of high-priced, investment-grade vino. Bottles start in the $50 range and prices can reach into the hundreds of thousands of dollars, he said. One of those rare six-figure wines Andrawes handled was a 1945 Chateau Mouton Rothschild, which commands such a high price because of its unique history: Its bottling date was the first year for French vineyards to produce wine after the end of the German occupation. Andrawes also owns the Red Room Lounge in downtown Austin, a wine bar on Third Street near the Austin Convention Center. He renovated the space and opened it in 2010 in what is rumored to be the city’s old 19th-century morgue. More growth opportunities are on the horizon. Andrawes is about to launch a subscription box wine service and is working on a book with Austin-based publishing startup Book in a Box about the wine business. Andrawes described himself as a “rogue sommelier” who learned the intricacies of fine wine by studying them on his own, talking with experts and attending tasting groups around the world. He wants to break down similar barriers for those interested in the sometimes-turgid world of luxury wine. What’s the toughest part of your job? It’s all about opportunity and saying no to certain things. You don’t have time to do everything well, so you need to be able to apply a laser-beam focus on the companies you have now and make sure you are able to deliver. What’s your best piece of advice for other entrepreneurs? My goal as an entrepreneur is to be the dumbest guy in the room and not get kicked out. If you’re a business owner and you’re the smartest guy in the room, the company’s growth is limited to you. If you have a collection of bright minds all around you, the growth gets compounded. As a kid, what did you want to be when you grew up? When I was a really young, I wanted to be a bus driver. The school bus driver was always the most popular person. They were the first person the kid saw on their way to school and they had the responsibility of getting everyone where they needed to go. I also loved the social aspect of it as a child, getting to interact with everyone. What do you do when you want to decompress? I typically try to help other business people locally, either as a mentor or as a sounding board. The other way is really going home and playing with my kids, hitting the pool, just trying to relax with family. What websites do you visit most? I’m often on Slidebeam.com. I just love that website. It’s so easy to create really cool decks (presentations) to pitch your business. I also travel a lot — I usually spend 10 days each month outside of Austin, either in New York or California. So I spend a lot of time on Hotwire booking flights and hotel rooms. So what’s your top travel tip? I book all my flights no more than a week in advance. I find that airlines and rental car companies are offering the best deals between three and seven days out. What is your favorite thing about Austin? Everyone here is completely willing to stop working to have a good time at a moment’s notice. It’s also a great place to raise your kids. Will Anderson coordinates digital coverage of business news and coverages a wide variety of topics, from consumer goods to health care.